Summary: Here are the 9 best places to live in Colombia according to expats living in Colombia. Expats share why they love living in each city, the climate, cost of living, social activities and more. Don't overlook the comments about heat and humidity in some coastal cities - while these conditions are ideal for some expats, they're oppressive for others. Where are the best places to live in Colombia? 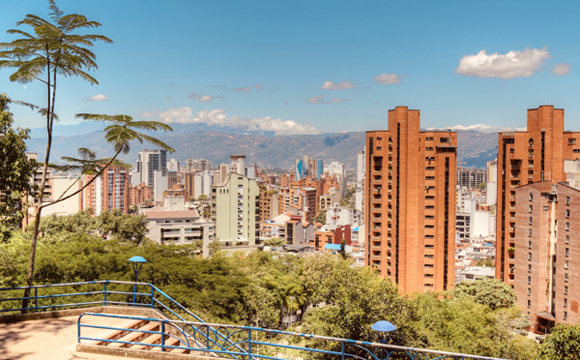 Our list of the 9 best places to live in Colombia is based upon information provided by expats living throughout Colombia. Deciding where you should live in Colombia takes time. Any expat will advise you to spend time living in each of the cities that you are considering. This approach will enable to get a real feel for the climate, culture, cost of living, friendliness of the people there, social activities and more. And, once you've picked your favorite place, rent before you even consider buying a property. It's important to note that your ability to tolerate heat may be a major factor in helping narrow down your list of possible places to live. Don't fool yourself into thinking that you'll all of sudden be okay living in a city that has an average temperature year round of 92 F (35 C) when you can barely tolerate that temperature during a 2 week heatwave in July in your home country. Once considered one the most dangerous cities in the world, Medellin, Colombia, is called the city of eternal spring. A retiree in Medellin wrote, "[Medellin] Colombia is like a dream come true. Fresh, crisp mountain air. Sunny days with gentle, pine and eucalyptus scented breezes. Restful, cool nights with the patter of soft rain overhead. Green everywhere. Lush pastures and forests. An average yearly climate that averages 68 degrees at night and 75 daytime. Morning and evening hot tub sessions. Walks along shaded forest paths. Fresh fruit, juice, vegetables from our garden and dairy right from the farm. Fresh meat without preservatives. Beautiful, warm, friendly Paisas. Parties, barbecues, family celebrations. It's all good." Interested in meeting other expats in Medellin? One expat recommended, "Parque Lleras my friend. Patrick's is an Irish bar and most of the servers and bartenders speak English. 90% of the patrons are Gringo's. I have been to almost all of the bars in Lleras and this is what you are searching for if you want English-speaking people to hang out with." Check out our article, 12 Tips For Living in Medellin, Colombia for more information on Medellin. Santa Marta is a large city on the Caribbean coast in northern Colombia. 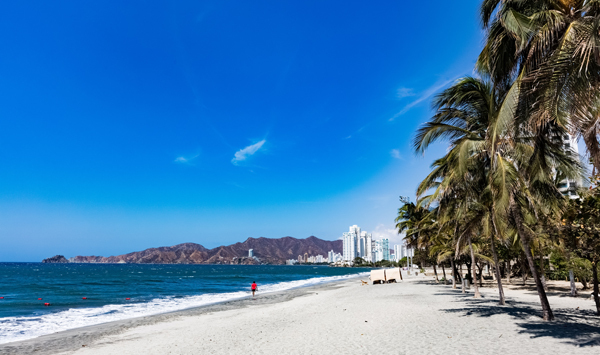 One expat said, "Although Santa Marta is the best kept secret. Best to take a week or two to check it out. Santa Marta has some beautiful beaches, National Park along the coast, and the highest coastal mountain range in the world. I spent a large portion of November and December in Santa Marta with plans on retiring there in the near future. The Caribbean Coast of Colombia rocks!" "In general, SM is too hot and humid for my wife but when your condo has a pool and the ocean is a minute away, life is okay," wrote another expat. "I lived in the middle part of SM. Close to the Ocean and Buena Vista Mall for six months. If you love heat, this is your place to be. If not, and have any health issues, you should invest in a dependable air conditioner. Rodadero or as the locals call SM 'La Perla' is a mini South Beach. Apts and places to rent during the holiday season are usually booked way ahead of time," commented another expat. 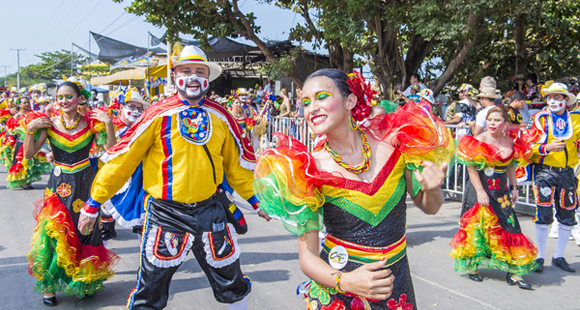 Barranquilla, Colombia is a port city in northern Colombia that hosts a well-known carnival. "I find Barranquilla very comfortable weather wise, generally breezy and not very humid at all. It isn't overgrown with gringos and it has great nightlife. It has great restaurants, infrastructure, medical care, transportation etc. 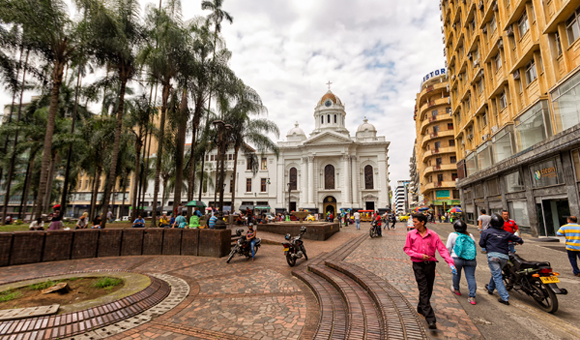 Bustling and growing especially in the north," commented an expat in Barranquilla, Colombia. Others find the heat to be a challenge. "The heat in Barranquilla is all year long, no cooler weather in around the winter months. If you live in the the North, stratums 5 and 6, most of the apartments are sealed enough to run AC efficiently. You will notice everyone has powerful fans running when AC isn't an option. During the daytime ,if you have to be out walking, I recommend an umbrella to protect you from the sun, but it isn't much help. In the North there are plenty of malls and restaurants with AC to take a break or get an iced drink. Since the sun sets at around 6pm every day all year long, the weather cools down sooner than the summers in Florida. This is when I go run, or my wife and I walk the dog, etc. Also, there is usually a breeze that seems to come with the sunset that feels nice," warned one expat. In a discussion about moving to Bogota, one expat commented, "I live in Bogota, and love it. The temperature is nearly always about 18 degrees here in Bogota, sometimes 16, sometimes 20, when in many parts of the US, it gets down to ZERO MINUS 18. Yes, it also rains, and in fact we are in the middle of the rainy season right now. But you know what? We get an hour of rain, then the sun comes back out, and the streets are dry again in a few minutes. Where I come from, (England), when it rains, which is VERY often, it lasts for 2 days at a time. Now that is what you call 'rainy'. Bogota is safe, it's different in that it's the capital city of Colombia, so it is thriving, the nightlife, the shopping, anything you want, you can find here. It is modern, living side by side with the traditional, rich live side by side with the poor, you will see things that you just would never see back home, and have experiences that you'll remember forever." Another expat said, "I am a single woman from sunny Southern California now living in Bogota for 2 years. I LOVE it. The climate suits me perfectly. I have large picture windows facing the east and in the morning my apartment heats up to 80 degrees. I am wearing sundresses I would be wearing at the beach in So. Cal. Yes, at night, it gets cold but, an extra blanket on the bed solves that problem. I sleep with my kitchen windows wide open at night. I have a space heater that I seldom use. In the daytime, I carry a sweater and, if I go out at night, I wear a coat sometimes. Yes, it rains but, only for an hour or so - quite livable actually. Bogotanos have welcomed me. They have taught me Spanish, helped me get settled, shown me where to shop and how to get around. I have no Expat friends to rely on - locals are my main contact. The city is quite cosmopolitan. To me, it's like fall weather all year around. The city is filled with lots of nightlife, culture, entertainment, and lovely people. The people are much nicer than in most American cities. And, I live in Cedritos, which I find very safe. I can actually walk to the market after sunset by myself. I, for one, find Bogota a refreshing change. But to each his own." 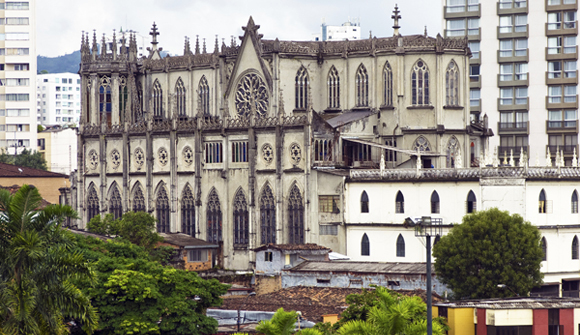 "I have lived in and around Pereira for several years. I really enjoy it. It's a friendly city with plenty to do. The upside: All the big box stores are in Pereira now, including Price Smart for American goods so you will be able to find just about everything you need. The cost of living here is waaaaay less than Bogota, probably cheaper by 1/3 or 1/2. The cities of Pereira and Dos Quebradas combined are about one million population. The two cities are divided by the Rio Otun. Museums, theater, street festivals, and more are easily accessible. You can drive from one end of the city to the other in about 1/2 hour except occasional rush hour traffic can be a little slower than usual. Good bus service everywhere, and costs only 1800 pesos per ride. Most taxi rides are minimum price 4200 pesos except late and night and Sunday and national holidays the minimum is 5000. There is a cross town metro bus you can buy rides on a card you swipe to board the bus" described an expat living in Pereira. "In terms of cost of living, Bucaramanga is one of the most affordable cities in Colombia. You could rent a fully-furnished apartaestudio in nearby Floridablanca for as little as 800.000 COP (that's about $275 USD) if you spend the time to look. A lot of the 'old money' in Bucaramanga has left the city to start anew in Floridablanca. Also, Universidad Santo Tomas is located there, and nearby are Universidad Pontificia Bolivariana and Ruiotoque, a new, upscale residential complex. As far as foods, you are going to want to try obleas de Floridablanca. These are legendary, delicious wafers filled with arequipe, cheese, cream, and any fruit of your choice. You'll only spend about 5.000 COP for one. Less than $2 for a famous dessert! Malls, malls, malls. If you like to wonder around malls, you'll be a bit surprised at the number and quality of the malls. Just in the last 10 years, 3 new malls have opened near the Floridablanca area: the newest and largest is Centro Comercial Cacique. It has 4 floors with anything you would want to buy. Also there are Caracoli and Florida not too far away. Both new with lots to see. 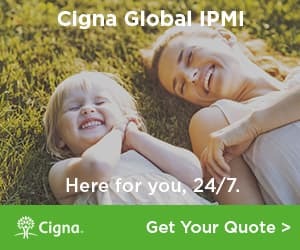 Lots of high-quality hospitals and clinics all over the place if you need them. I don't know what other information you might want or need," said one expat in Bucaramanga. "You should enjoy Cali with no worries. The school you mention [Colegio Colombo Britanico] is in a very nice part of town and has a great reputation. Food is, by US standards, plentiful and inexpensive. Lots of wonderful fresh produce and meat. Convenience food is more and more common and relatively expensive. The area of the city where the school is is very safe and there are lots of things to do with young kids. 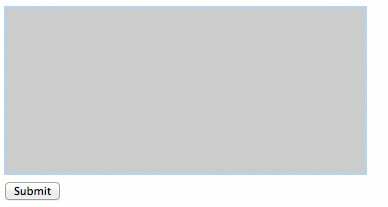 The air quality in the valley is so-so. Far better than Bogota but the heat and humidity trapped can cause a little smog to build up from time to time. The Pacific is just across the western Andes. It's not popular with Colombians but it's quite nice. Mostly wild with small towns accessible by boat from Buenaventura. Have lived in a small town a few minutes south of the city for several years and I love it," explained one expat. Another expat added, "The whole area in that part of Cali is considered upscale - over 80% of the inhabitants being considered as estrato 6, where estrato 1 is the poorest and 6 the richest. The various malls are the equal of almost any in North America, and they really go all out for Christmas decoration, it is quite a sight to see. Many prices of consumer goods are higher but (mostly) not alarmingly so, especially with the dollar stronger now against the Colombian peso." 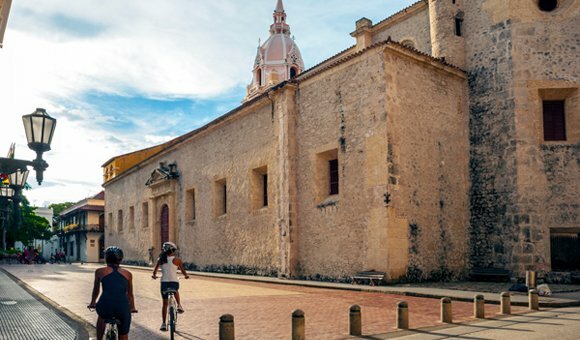 "Cartagena is like a living museum - if one loves culture, art, music, history - this city is unique/international and well worth 'taking in the whole ambiance.' The good beaches, are experienced in near-by islands," said one expat. "You must remember that if you are happy to endure the heat on a week's holiday, you must be aware that to actually live there, and suffer the heat permanently, day in, day out, and at night too, is a little different. You may even find it oppressive, like myself. If you are from the southern US, then you may be used to it, but if you are much further north, then you may prefer somewhere with a little higher altitude, and a little cooler," cautioned one expat in Colombia. In terms of best areas of Cartagena to live, one expat offered some great insight, "Bocagrande - high rise condos, hotels and la playa, the beach. I always spend most of my time in Bocagrande well I just like cafe life and watching the world go by and only be two blocks from the beach from from anywhere you are standing 80 percent of the penisula. It the most easy part of the city to transverse on foot or taxi ... rarely any traffic jams that drag you down. Drawbacks... more expensive and very humid at times ..hey you are surrounded by El Caribe. Some visitors pooh-pooh the beaches of Bocagrande but when you get out there, walk for 2km and take a swim ..the water it's great, ..it's the most convenient beach scene in Cartagena." He went on to describe another neighborhood, "Getsemani is the new, cool, hip up and coming..well to be honest is has been on the rise for most of 20 years now. But it seems to have endless opportunities as investment as continued for two decades. Probably one of the best options for a family way of life balanced with lots of entertainment options for newcomers." And, finally, he talked about The Old City, "The Old City referring to the walled fort. I was told by a tour guide I hired at the enbattlemtents/walls of the Old City measure 11km long. It's an amazing place and a World Heritage site. There are many living opportunities in the area and if you love that old world charm it's a good idea as you can live without a car in that area." "I live in pueblos because I like the less hectic lifestyle, it is usually quieter, the people are more friendly and less stressed, costs are lower, often by as much as half, and it's just plain fun to walk everywhere I want to go. Rarely do I use a taxi here in the pueblo, and hardly ever use the local bus. The best part is, Pereira is only 30 minutes away whenever I need a city fix. Probably going to Price Smart tomorrow to stock up on American products," said one expat in a discussion about city vs. pueblo life. Another expat explained, "I live in a pueblo in southern Huila and I wouldn't trade my life here for anything. I love the fact that I am totally immersed in the local culture. I lived in Cali and made very few friends there. Here in this small town I have more friends than I had in the US. Most of the people are proud to have a gringo friend and look out for me. I was in the local ferreter?a yesterday to buy some hogwire. When the guy quoted me a price a total stranger stepped in and the price was cut in half. I now have one more friend. I agree completely with cafetero. Life in a pueblo is so much less hectic. I can breathe clean air here. No gringos here to spoil the experience. And Pitalito is 20km if I need that 'big city' experience. (Pitalito is not a big city but they do have ab Exito)."